Our SharePoint Support services help reduce risk, lower IT costs by providing access to SharePoint experts when you need it. Installing and Maintaining a SharePoint platform requires a wide range of knowledge and expertise about its extensive features and functionalities to realize the benefit provided by the platform. HexaCorp has several years of experience in SharePoint platform and our experts possess the required expertise, skills to handle the setup and support of even the most complex SharePoint environments. Our comprehensive SharePoint Support Services is designed to address every aspect of maintenance and support of SharePoint 2007, 2010, 2013 and SharePoint Online environments. Our SharePoint Administration Support Services is operated in accordance with ITIL best practices and follows an established escalation process. SharePoint Consultant Issue resolution time is measured against Service Level Agreement’s (SLAs), we continuously update our systems and processes to improve resolution times. 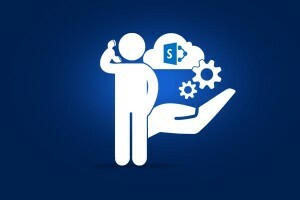 SharePoint Services configuration (Search, Managed Metadata, Excel Services etc). Optimizing Content Storage and Access. Incident Management – 24 x 7 Level 1, 3 and support ensuring that client issues are resolved appropriately in a timely manner. Log Monitoring – Review and address issues in SharePoint and Windows logs before they become critical and impact application and solution behavior. Patch Management – Certification and deployment of patches. Backup management – Ensuring that critical data is maintained. Configuration services – Across the entire SharePoint environment. Reporting – Health, uptime and availability reports. Security Management – Add/update/delete users, groups and permissions. Single source for all administration, operational and management activities eliminating the need for clients to staff expensive FTE resources. Proactive Platform management ensures SharePoint environment is running correctly, efficiently & meeting business SLAs. Web parts and features enhancements. Proactive Defect Resolution – Ensures that SharePoint applications and solutions behave as specified and expected by the business. Enhancements and new feature requests – Implementation of new features/functions delivered in defined sprints following HexaCorp’s DevOps-based delivery model. Blended solution team – Comprised of business analyst, project manager, SharePoint Architect/Developer/Administrator roles provide maximum implementation value. Single source for all application development activities eliminating the need for clients to staff a wide array of expensive FTE resources (SharePoint Architect, SharePoint Developer & SharePoint Administrator). Subscription-based pricing model to ensure IT dollars are invested wisely. Remote model provides facilities cost containment. Copyright © 2016 HexaCorp LLC. All rights reserved.